What has happened? Why have we gotten fatter? What should we be doing about it? For decades the medical profession has recommended that we reduce our fat intake. We have. We lowered our fat intake from 40 percent to 30 percent of total calories. Why then have obesity, and the diabetes that often accompanies it, become so prevalent? It appears that the advice that doctors gave, and in most cases are still giving, was wrong.The main culprit is not fat, but excess sugar. We made the huge mistake of swapping sugar for fat. We doubled our fructose consumption and we have reaped a whirlwind. The sad truth is that conventional ideas — eat less, run more — do not work long term. Counting calories, exercising for hours every day and trying to ignore your hunger? That’s needless suffering and it wastes your time and precious willpower. However there’s a better way. There is no magic pills or potions involved. You’ll only need to eat delicious and healthy food. Meet the DietSensor app — the best nutritional coaching app to help you eat healthily, control diabetes, manage obesity and fitness. DietSensor, makes food tracking so easy and accurate (that anybody will be able to know what and how much he or she is about to eat, everyday, without a huge effort). The DietSensor mobile application was developed to help users better manage their health, by providing accurate, easily nutritional information, especially for those who are suffering from being overweight or with chronicle diseases related to nutrition. The solution : a pocket portable molecular sensor and a mobile application – it’s that simple ! A sea of research now suggests that fructose, especially high fructose corn syrup (HFCS), is taking a devastating toll on your health. It is a MAJOR factor in the increasing rates of obesity and chronic diseases all over the world. But if fructose is wreaking havoc on everyone’s health, then why is it still found in a wide array of food products today? 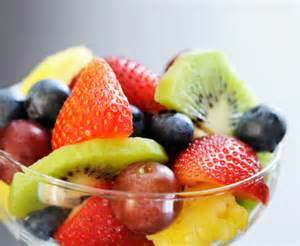 Fructose is a sweetener usually derived from corn, and is now the single largest calorie source of Americans. Fifty-five percent of sweeteners used by food and beverage manufacturers today are made from HFCS, because it’s cheaper and 20 percent sweeter than regular table sugar (sucrose). In fact, the number one source of calories in the United States today is soda, which is sweetened with large HFCS amounts. It is unsurprising that an average American now consumes roughly 47 pounds of cane sugar and 35 pounds of high-fructose corn syrup every year. And here’s the sad truth: not everyone is aware that fructose lurks in most processed foods and fast foods, even in those that have been touted “sugar-free” or “low-calorie”! According to ahealthblog.com, countries which make use of HFCS in their food supplies had a 20% greater prevalence of diabetes compared to countries that didn’t make use of HFCS. The study also showed that association of HFCS with the increase in the prevalence of diabetes happened independent of obesity levels and total sugar intake. Out of 42 countries analyzed, the US has the highest per capita HFCS consumption. Countries having higher usage of HFCS had an average type 2 diabetes prevalence of 8% in comparison to 6.7% in countries not making use of HFCS. The researchers suggest that this link is most likely driven by larger amounts of fructose in beverages and foods manufactured with HFCS. 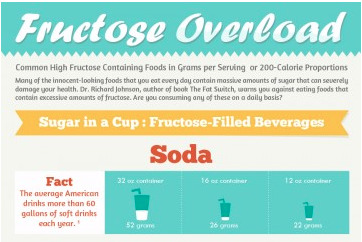 Glucose and fructose are both found in ordinary sugar in equal quantities, but HFCS has a higher percentage of fructose. The greater content of fructose makes HFCS sweeter and gives processed foods better appearance and greater stability.